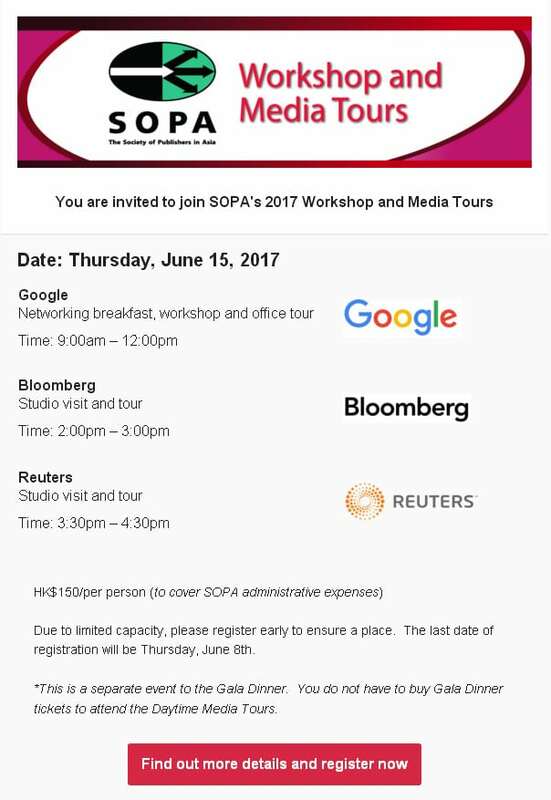 Workshop description: Asia’s Internet users are reinventing the Internet around mobile, pushing news publishers to develop new content and innovative ways to monetize their audience. In the course of this workshop, Google team will share perspectives on the new business strategies and revenue models in the mobile – first sphere across the globe and in the region, specifically focusing on the next-generation markets. Key focus areas would include approaches to reaching the mobile-first audience and the broader set of innovations on mobile platforms (including Accelerated Mobile Pages), content formats (also through experimentation on 360 video on YouTube and virtual reality), as well as injecting digital skills into Asian newsrooms to support quality journalism (including Google News Lab tools). More details will be emailed to confirmed/paid registrants. Due to limited capacity, please register early to ensure a place. The last date of registration will be Thursday, June 8th. *This is a separate event to the Gala Dinner. You do not have to buy Gala Dinner tickets to attend the Daytime Media Tours.